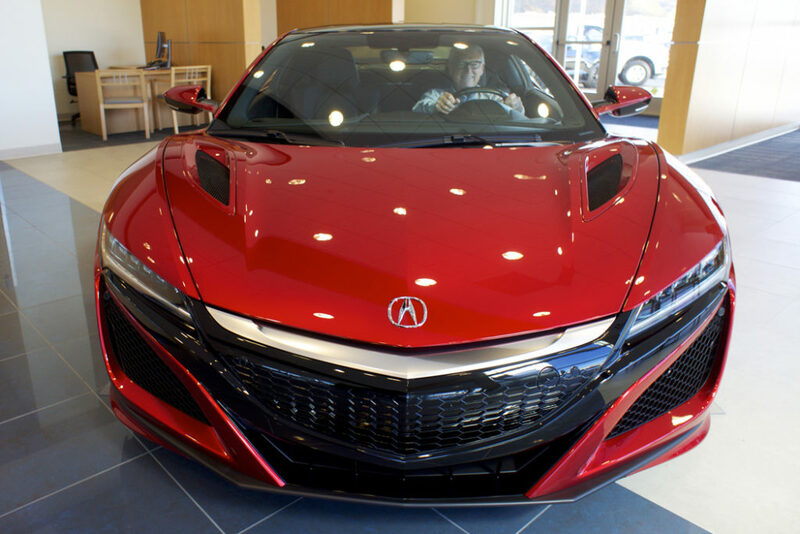 ASHLAND, OR – Butler Acura received delivery of the ONLY 2017 Acura NSX to reside in Southern Oregon late last week. The public is invited to attend a special viewing of the supercar on Thursday from 4 – 6pm at Butler Acura located at 1899 Hwy 99 North in Ashland. Recently named Road and Track Magazine’s 2017 Performance Car of the Year, the 2017 NSX, won by the widest margin in the award’s history. 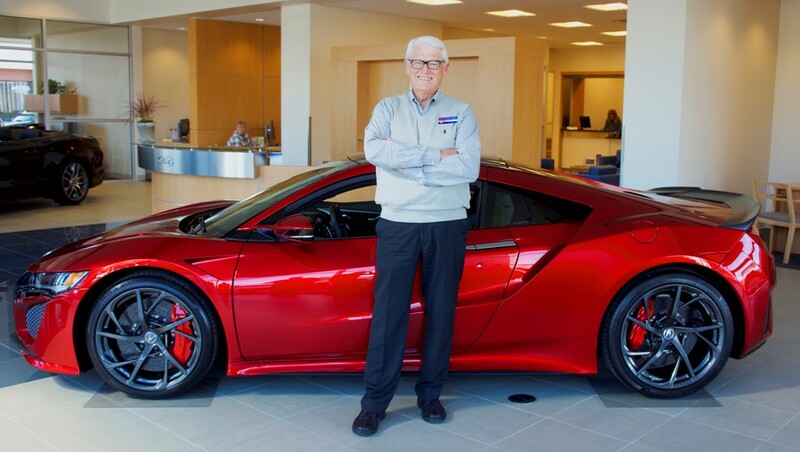 Butler added that he plans to keep the 2017 NSX in the Acura showroom alongside his 2003 NSX. While the two vehicles share a common lineage, their juxtaposition also highlights the rate at which performance vehicles have changed in recent years. The 2017 NSX sports a 3.5-liter V6 engine and hybrid powertrain, which generates 573 horsepower and allows the car to accelerate from 0-60 miles per hour in 3.1 seconds. The 2003 NSX, which drew power from a 3.2-liter engine generating 290 horsepower, managed a 4.8 second 0-60 time. Noteworthy is the 2003 NSX Oregon license plate is “NSX” signifying the uniqueness of these vehicles in the state. 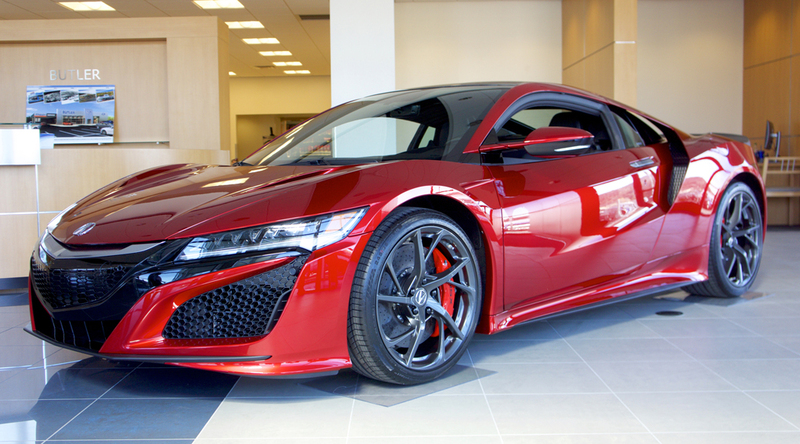 Butler Acura’s 2017 NSX is priced at $251,914 and features optional factory performance upgrades like carbon-ceramic rotors with red NSX calipers and a carbon fiber engine cover, interior trim, and roof. In addition to its recent bow as Performance Car of the Year, the 2017 NSX has also been recognized with Popular Science’s “Best of What’s New” award for its advances in automotive performance technology. Chuck and Linda Butler together with additional product specialists will be at the event to answer questions and share the excitement. The public and media are welcome to attend. Butler Acura is part of the Butler Automotive Group. Founded in 1976, Butler Automotive Group is comprised of four dealerships owned and operated by Chuck and Linda Butler and Managing Partner Warren Cooper. Butler Ford, Butler Acura, Butler Hyundai, Butler Kia, and the Butler collision repair shop, rental agency, and service centers employ more than 120 people at their locations in Ashland and Medford. The Butler family of dealerships supports more than 35 local community organizations, as well as nationally recognized organizations like Susan G. Komen for the Cure foundation.